I was going to take a picture of this larva (syrphid fly?) when I noticed a wasp hanging around - then there were two (same size) - and both started laying eggs. 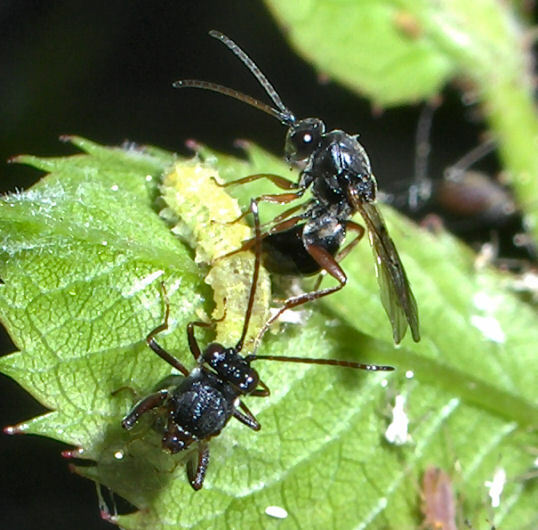 Moved from Ants, Bees, Wasps and Sawflies. Nice find. This is in the Aspiceratinae group, which are specialists on syrphid larvae. It was an exciting find.